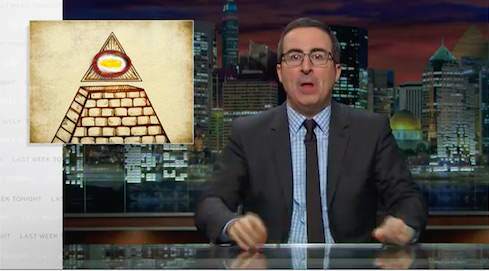 It seems like John Oliver may have got a little bored during the off week of Last Week Tonight. The late-night host has spent his free time looking at YouTube conspiracy videos or, as he puts it, ‘science fiction for people who don’t know they’re watching science fiction’ reports The Daily Dot. But he must’ve been feeling left out as he has decided to create his very own conspiracy theory about Easter favourite – the Cadbury Creme Egg. Creme Eggs taste like mermaid placenta covered in candle wax and yet every year these eggs show up in January like newly signed gym memberships. It’s tough to find any holes in his argument. I for one have had my eyes opened.